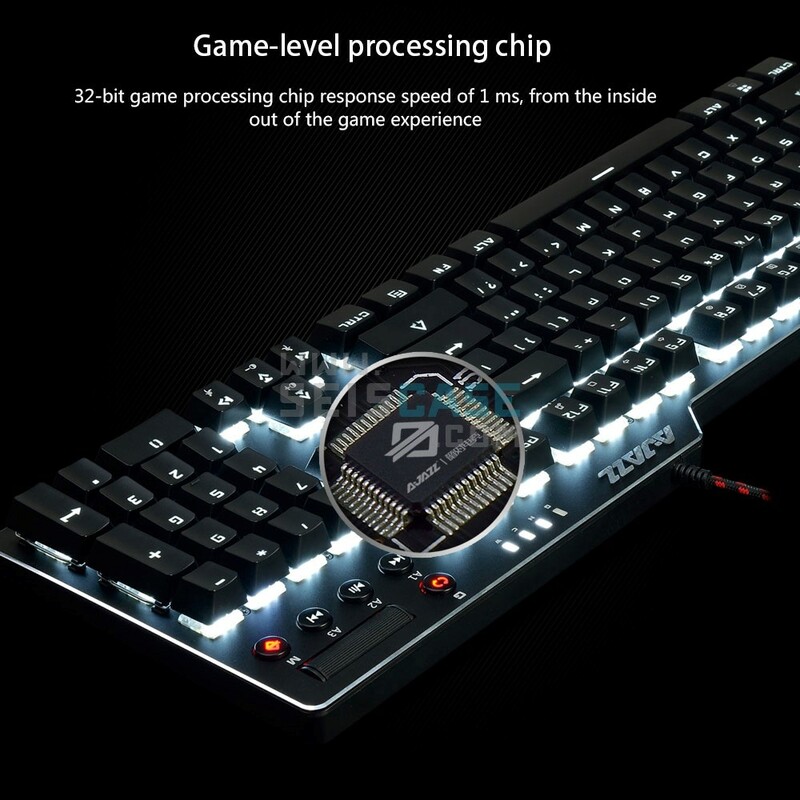 Anti-ghosting 104 Keys. 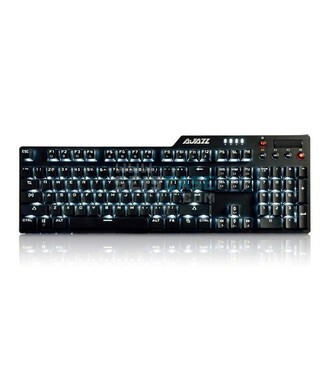 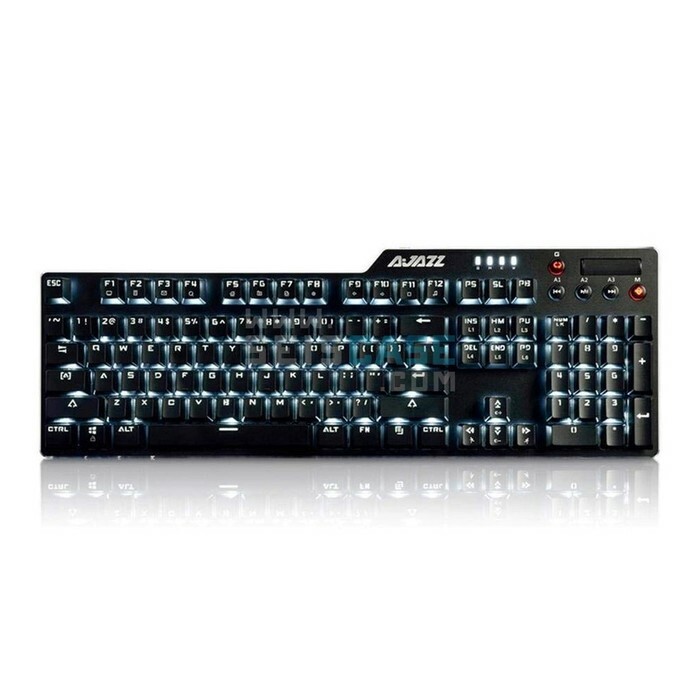 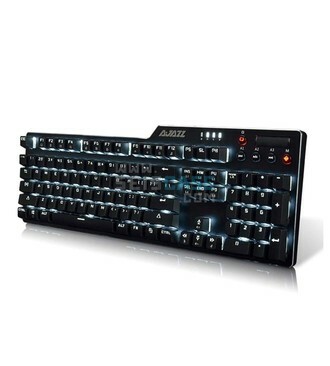 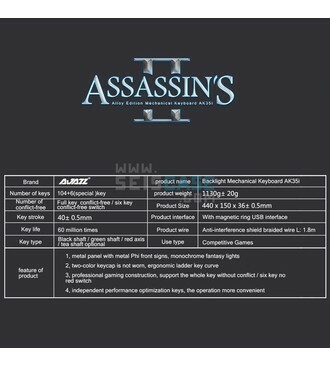 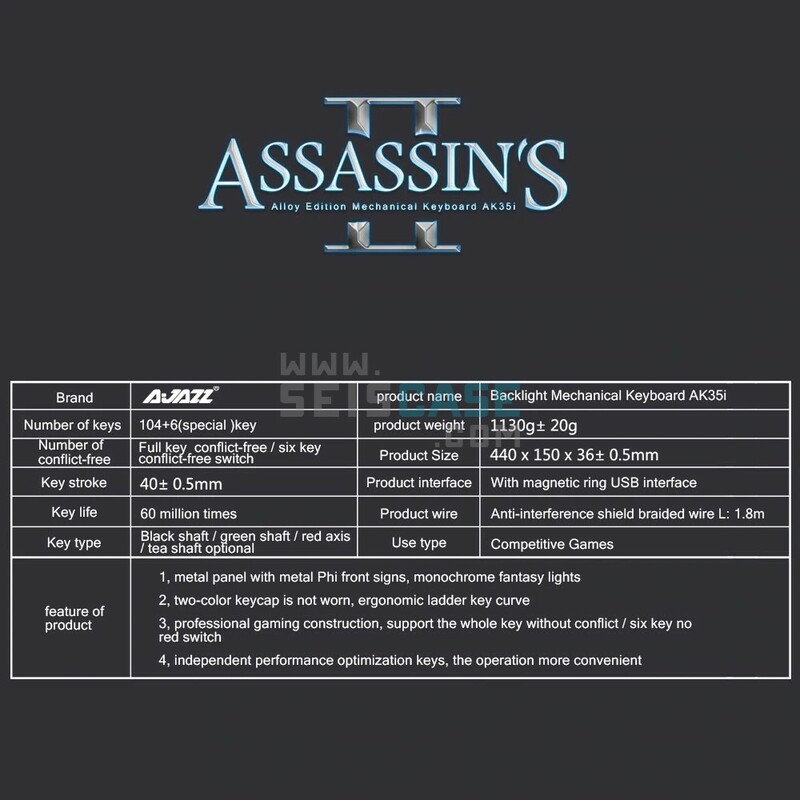 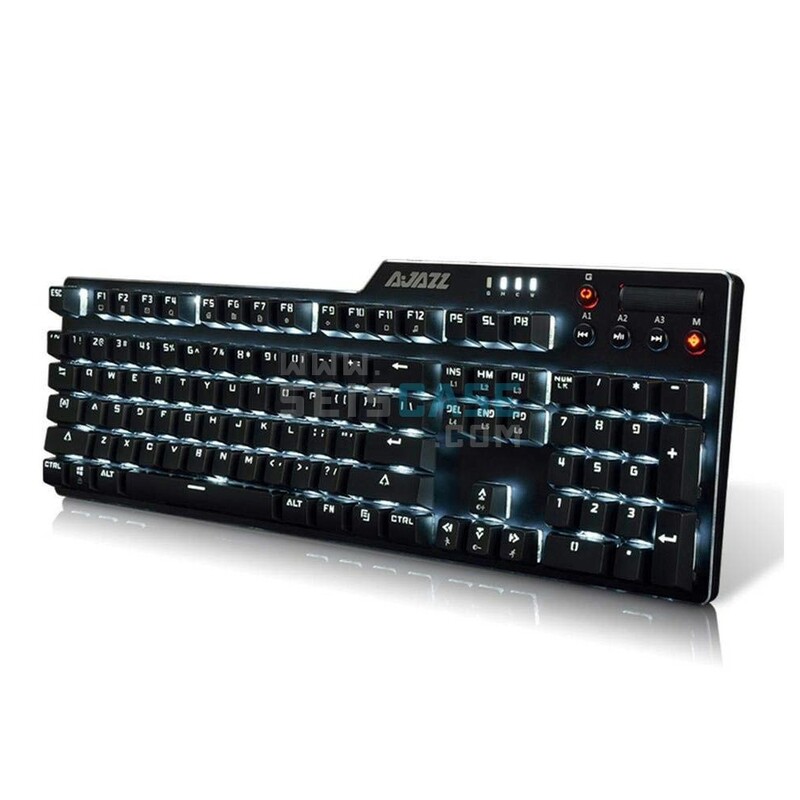 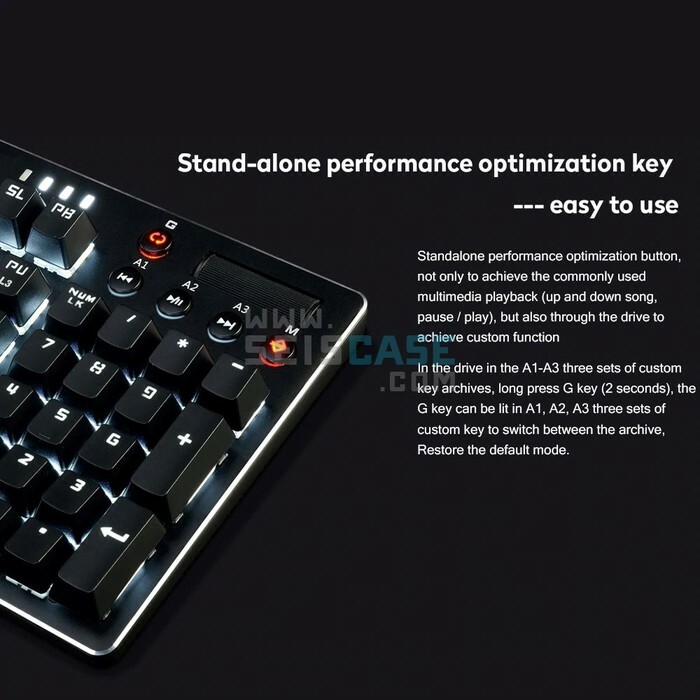 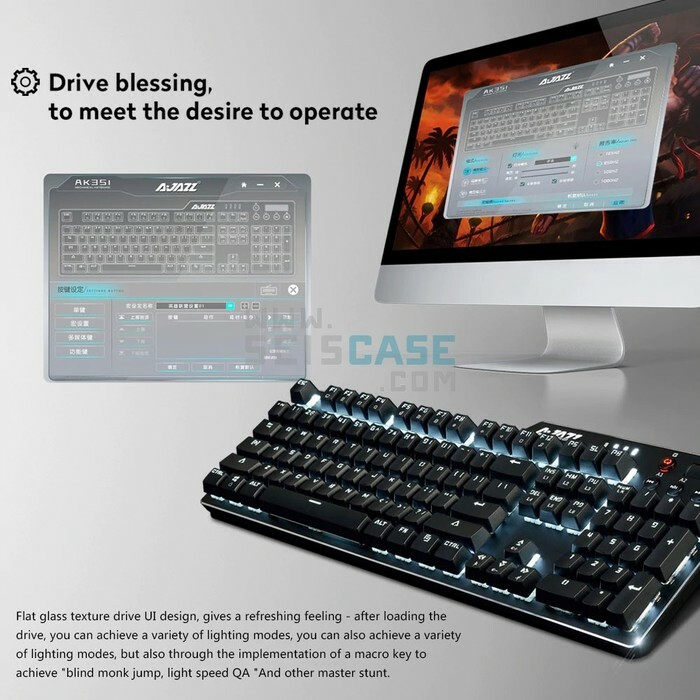 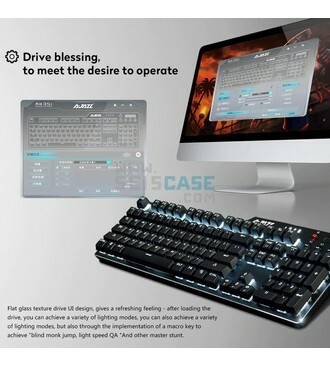 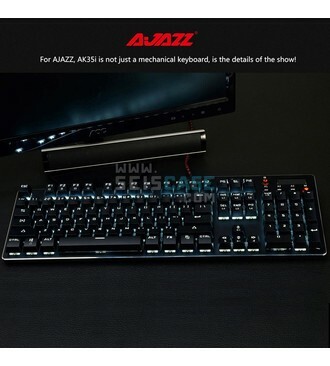 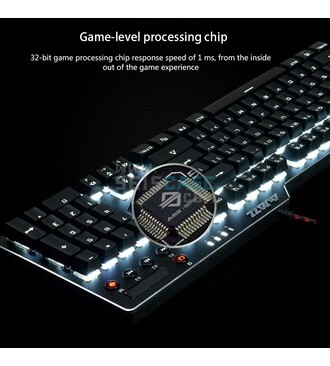 This mechanical gaming keyboard adopts anti-ghosting technology that each key is controlled by independent switch. 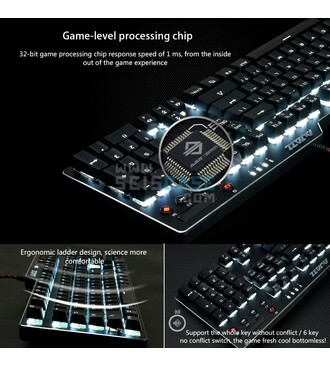 This keyboard allows multiple keys to work simultaneously with high speed and have them accurately reported in your computer. White LED Backlight: Single White Backlit Mechanical Keyboard comes with Double-shot Injection Molded Keycaps, offering the best touch feeling, clear bright backlight and lettering on the keycaps. 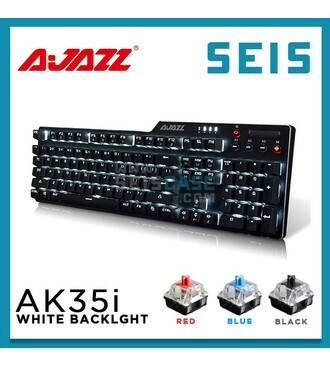 Red Switches. 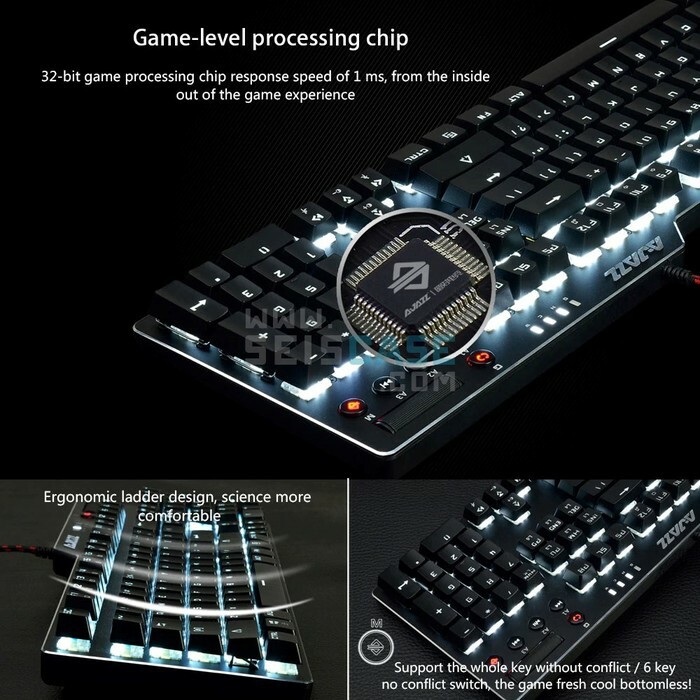 A light, linear mechanical switch nice for typing and gamers looking for something lighter than Cherry Blacks. Ergonomic design keycaps. 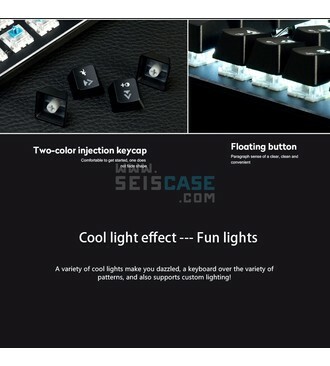 Stepped and double color injection keycaps layout and high standard keycaps make sure providing the best feeling. 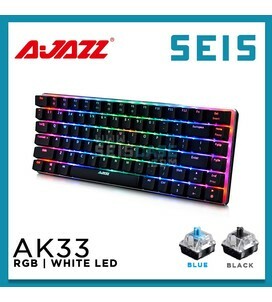 Suitable for long term use. Best Stability. 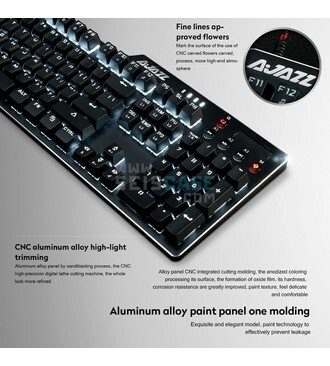 Top quality aluminum and ABS construction, ensure the consistent performance. 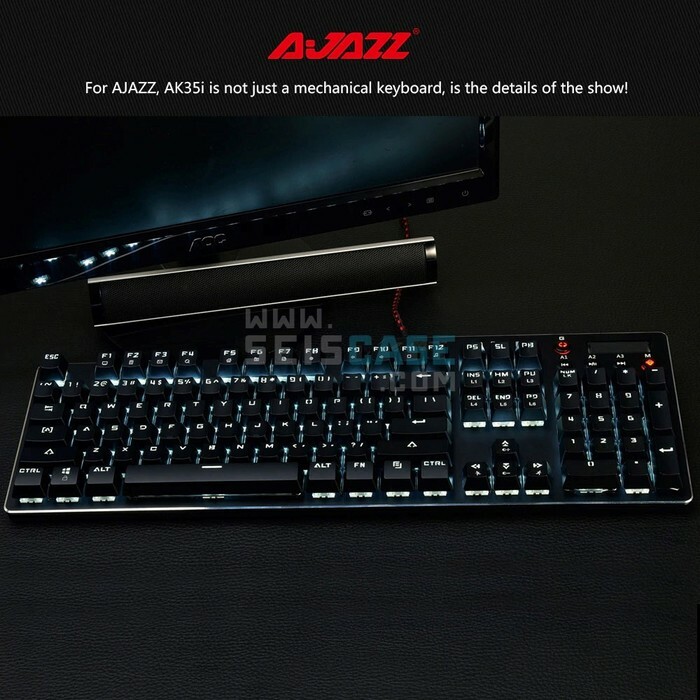 1.8m anti-interference braided wire ensures stable data transmitting and greater durability. 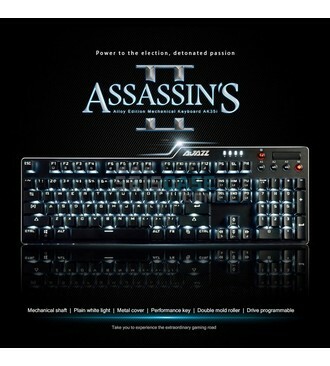 Full keys conflict-free and 6 keys conflict-free can be switched by press the "M" key, fast response. 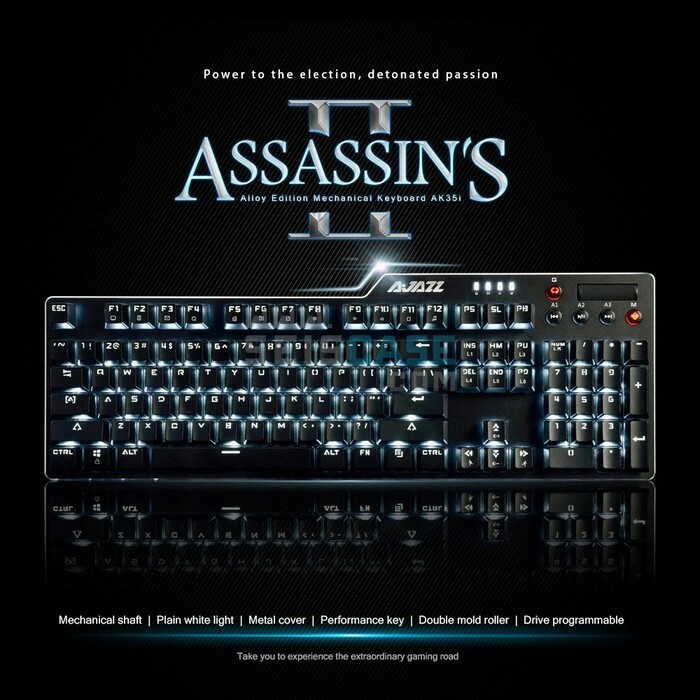 Great for gamers, typist,programmer, writer etc. 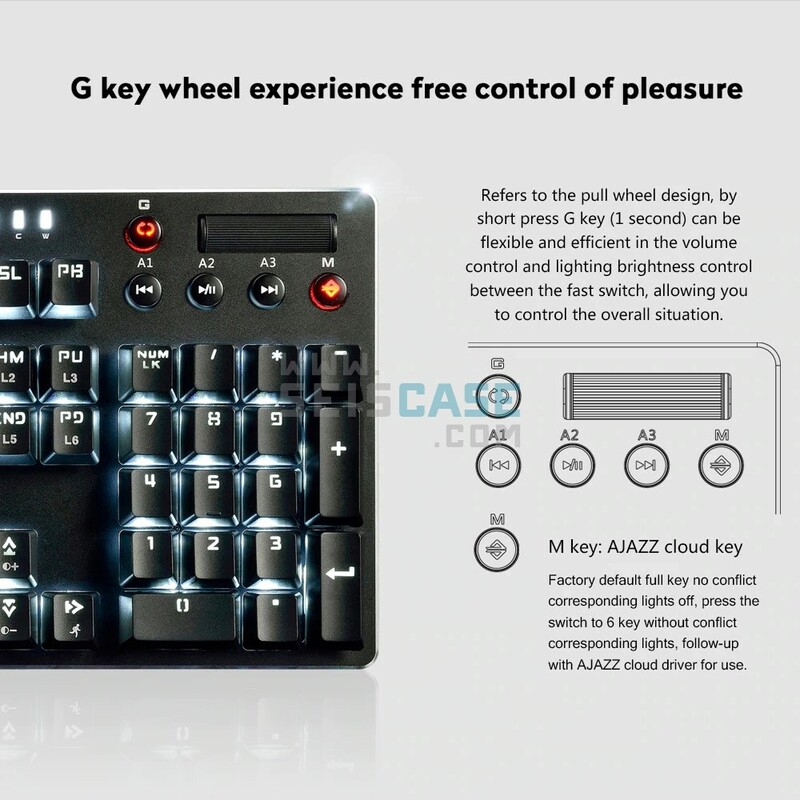 6 Special Keys. 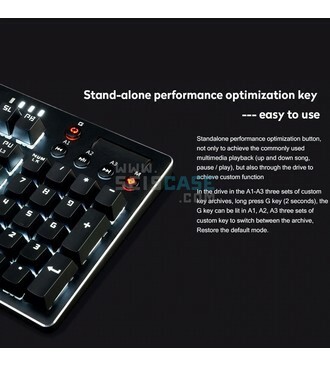 Independent 5 multimedia keys and 1 roller, more convenient and high-principled. 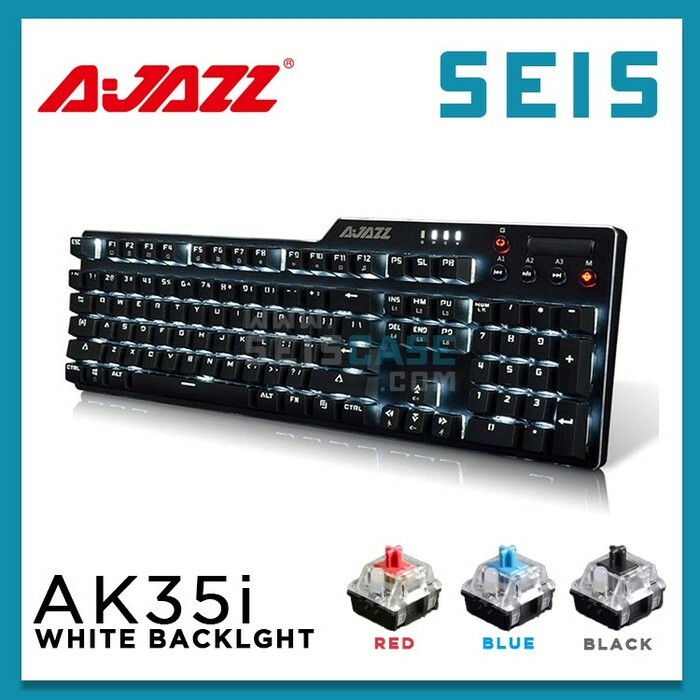 Red Switches. 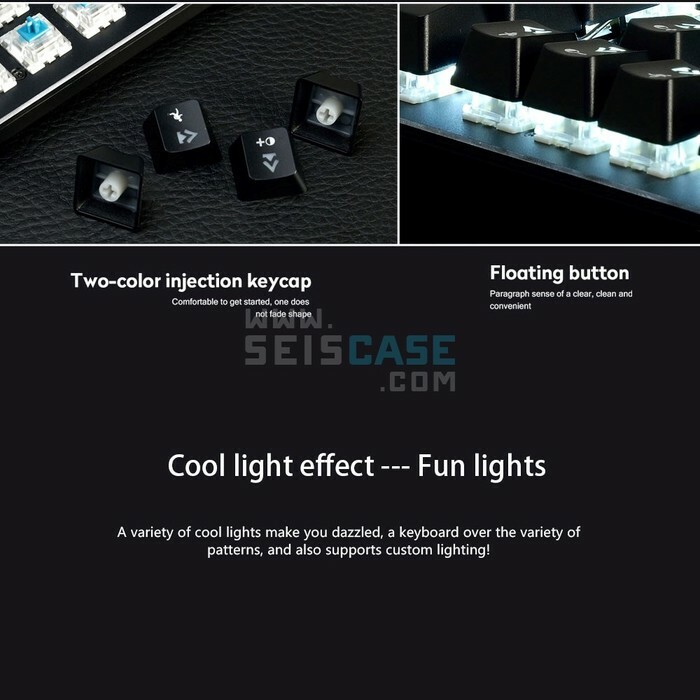 A light, linear mechanical switch nice for typing and gamers looking for something lighter than Cherry Blacks. 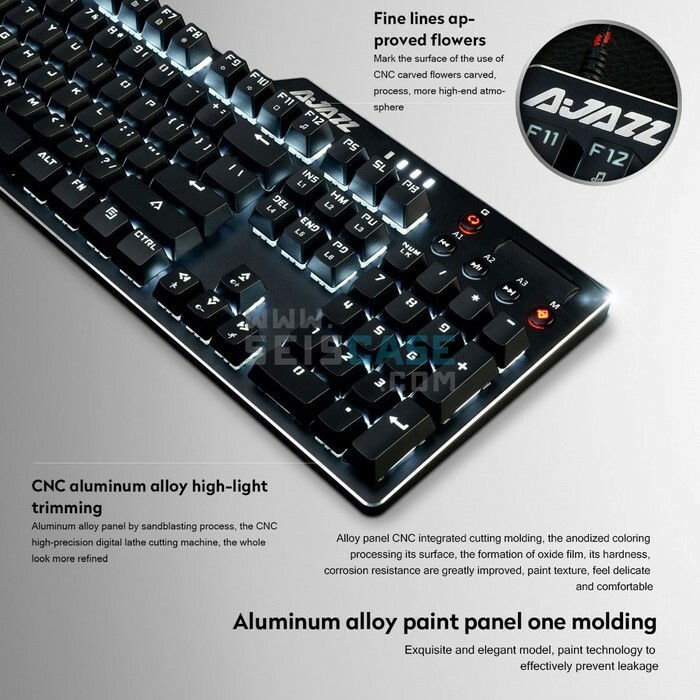 Give you the smooth and liner mechanical experience.